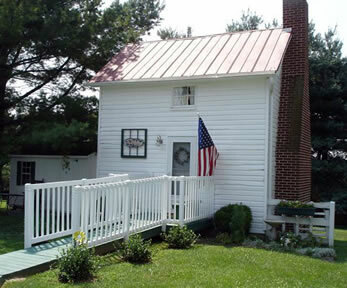 “The Little House” at The Kate Pearl Tea Room is located adjacent to the main inn . . . the perfect venue for children’s parties, ages 5 to 12. The Little House is reserved for special events including pre-arranged children’s parties and birthday celebrations. During each themed party children will construct a fun craft, become familiar with tea related items and etiquette through age appropriate games, enjoy a child friendly tea menu, and celebrate with a teapot shaped cake in the flavor and colors of your choice. Parties are scheduled at 11am and 2pm on Saturdays during the school year and on pre-arranged week days during summer months. Reservations may be made by contacting us, or onsite inside the main tearoom for parents who wish to enjoy an adult tea. Teddy Bears are cuddly and lovable and always there when you need them. But Teddy Bears don’t get out much. Why not bring your favorite Teddy to tea and invite your friends and their teddies to come along. Everyone will have so much fun making teddy bear ears to wear to tea, playing teddy bear games, and eating a “beary” delicious lunch. Your friends will love the teddy bear teapot cake too. Are you a “princess in training”? 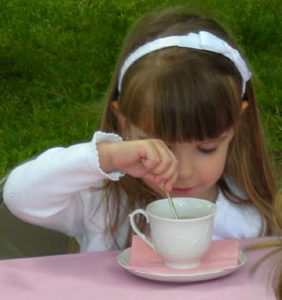 Princesses in training are learning what to do and what to say when they go out…like to a real tea party. At the party, you and your friends will create princess crowns, dress up, set the tea table, and enjoy a royal meal fit for a princess and her guests. Your “princesses in waiting” will just love being served your princess teapot cake. Do you believe in fairies? It’s a very special honor to be invited to a Tea with the Fairies, for only those who truly believe will be blesssed with the rewards of their presence. Your guests will take part in fairy-appropriate activities and be treated to foods on the menu that are favorites of the fairies. And, fairies love cake…your Flight-of-Fairy teapot cake is perfect for even the most reluctant of fairy visitors. Share the world of the American Girl…the friends they make, and the excitement of their birthday celebrations. Learn the proper way to serve tea, practice manners, and engage in polite conversation. Create a one of a kind bonnet for your doll or a star whirler. Your guests will especially enjoy the American Girl teapot cake. Traditional Afternoon Tea parties are available when requested. For more menu options, visit our Menu webpage.